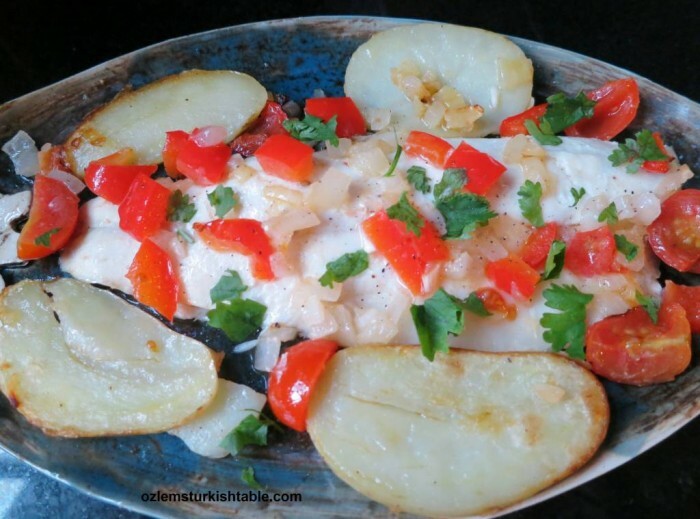 This delicious baked sea bass makes a complete meal with all the fresh vegetables in it, and it is so easy to make. I cooked the sea bass and the vegetables in olive oil, lemon juice and a little water and covered in foil. 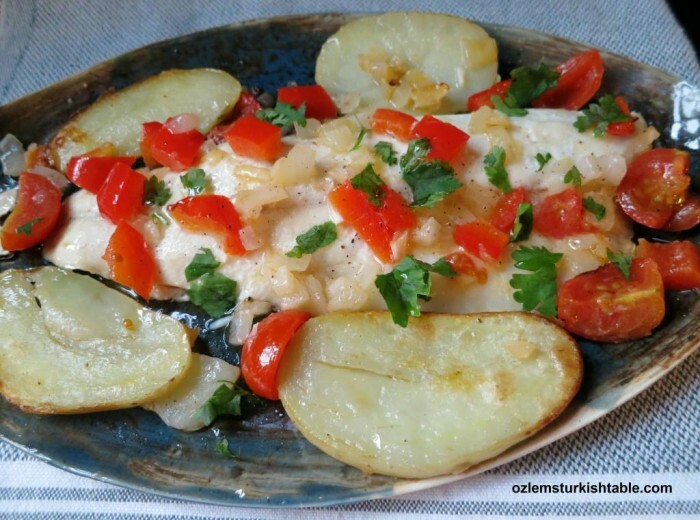 This healthy way of cooking retains all the wonderful juices of the fish and vegetables and makes the flesh tender. The result has been a refreshing, utterly delicious supper, easy to prepare. You can use any other white flesh fish of your choice.